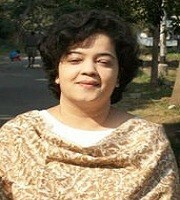 Dr. Piku Chowdhury, M.A. [English], M.A. [Education], B.Ed [University Gold Medal], M.Ed., Certificate in Global Leadership with scholarship from University of Oregon USA, Assistant Professor in English in Satyapriya Roy College of Education [Govt. Aided], Teacher at Indira Gandhi National Open University, Resource Person at Diamond Harbour Women’s University, Resource Person at Techno India University [ex], author, State Resource for training minority high school teachers, State Resource for developing Special Training Material for SSM in collaboration with UNICEF, State Core Committee Member and Expert for developing the West Bengal Elementary Teacher Education Curriculum Framework, author of many books and research articles in various international journals.